We don’t often talk about the sounds of eating, but we should; the greatest sound in eating is the sound of Shawarma: Silence. It’s not the biggest sandwich/wrap, but it’s perfect. 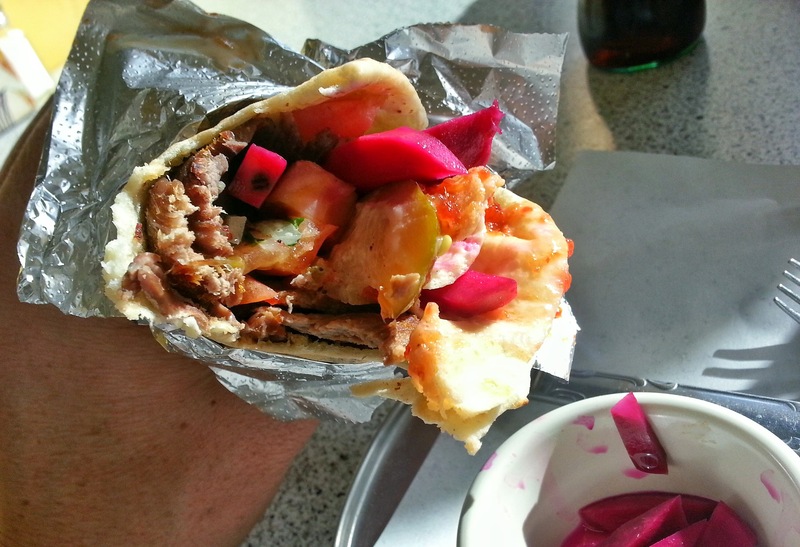 The shawarma at Jack’s Bakery in Garden Grove is about as perfect a meal as you are ever going to get. Make sure to tuck those pickled turnips into the wrap like a kid in his warm blankets on Christmas Eve. Posted in Armenian, Garden Grove, grilled, Meat, Southern CaliforniaTagged Armenian, Avengers, Garden Grove, Jack's Bakery, Lunch, Shawarma, Silence, Turnips, WrapBookmark the permalink.